Having graduated with a Masters in law and a diploma in higher legal studies from Paris 1 university, Dominique Desseigne was a public notary from 1980 to 1997. Beginning 1997 he co-managed Groupe Lucien Barrière with his wife Diane Barrière-Desseigne until her death in 2001 when Dominique took over management alone and he is currently Groupe Lucien Barrière’s CEO with a 60% stake held by the Desseigne-Barrière family. Dominique Desseigne also chairs the SFCMC (Société fermière du Casino Municipal de Cannes), in which the Desseigne-Barrière family holds over 60% of the equity. Lucien Barrière Hôtels & Casinos is a hotels & casinos operator covering two distinct companies, namely Groupe Lucien Barrière (GLB) and SFCMC (Société Fermière du Casino Municipal de Cannes). Founded in 1912 by François André and managed & developed in turn by Lucien Barrière, Diane Barrière-Desseigne and Dominique Desseigne, Lucien Barrière Hôtels & Casinos became the no. 1 French casino operator and a leading brand in the luxury hotel industry. Lucien Barrière Hôtels & Casinos has developed unsurpassed offering in high-end leisure, based on operational excellence, service quality and the French art de vivre. Today, it includes 41 Barrière casinos (included Cap d’Agde and Megève casinos, openened in 2014) , 15 Barrière hotels (& 2 partner hotels*) – most of which are 5-star, plus over 140 bars & restaurants, including the famous Fouquet’s in Paris (now also in Marrakech, Cannes & Toulouse) and puts on over 3,000 shows & entertainment events per year. The Group posted revenues of €1.181 billion for the year ended 31 October 2013 and has 7,139 employees. 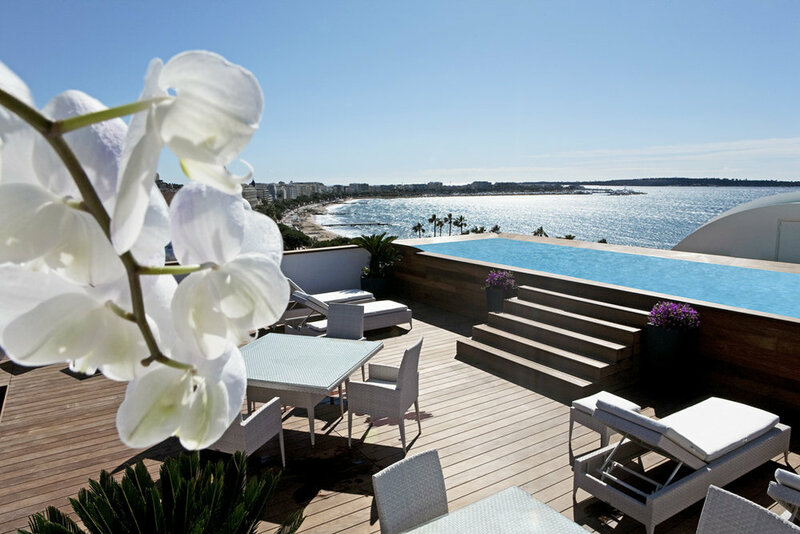 Lucien Barrière Hôtels & Casinos also highly reputed for its restaurants (over 3 million meals served), leisure with 7 Spas (in Cannes, Enghien-les-Bains, Lille, Paris, Dinard, Ribeauvillé & Marrakech), a Thalasso-therapy centre at La Baule, a balnéo-therapy centre in Ribeauvillé, 3 golf clubs & 2 tennis clubs (over 32 clay courts) and its resorts stand out in internationally reputed resorts. It’s above all a love story. My wife Diane was Lucien Barrière’s daughter. As you know, “Lucien Barrière Hôtels et Casinos” has been around for over 100 years. It’s a family business that has been passed on from generation to generation since 1912. Diane created the Barrière legend and gave the company its current strength. in 1997, after my wife suffered a terrible plane accident, I became joint group chairman, and I have been sole chairman since 2001. Since then I have endeavoured to uphold my wife’s determination to develop the group and give it a new dimension, in accordance with our values. In such a competitive industry, how do Barrière hotels to stay so successful? We have always stayed true to the Barrière spirit that epitomises the French art de vivre combining tradition, modernity, excellence and simplicity. The passing on of our expertise and the loyalty to our core values on a daily basis has ensured our hotels’ attraction as we have always made sure that we do not lose our soul. The customer is always our primary focus; we are always extremely attentive and endeavour to anticipate the guest’s needs. We constantly renovate our hotels to remain a top hotel level service and that’s why we have redecorated our rooms in La Baule, Deauville and Dinard. We strive to give to each hotel a tailor-made style and an individual personality to avoid the style of a standard hotel chain. We are currently a major actor in luxury hotels with 17 mostly 5-star hotels and in the restaurant industry with over 140 bars and restaurants (including 2-Michelin Star restaurants). Which partnership or marketing strategies did you implement that attributed to the success of Barrière? Barrière’s specific feature is the fact that each hotel has its own identity, we are not a standardised group. We integrate into local culture as much as possible. Examples include the Normandy’s chic countryside style with its half-timbering in the center of Deauville, the ultra-modern glass expanse covering the Hôtel Casino Théâtre Barrière in Lille, and the way the Barrière Ribeauvillé Resort in Alsace blends perfectly into the surrounding nature … plus designing a new type of casino, such as the Casino-Theatres in Toulouse and Lille or launching development abroad with the Morocco-based Hôtel & Ryads Naoura Barrière, our first foreign hotel. I am also rather proud of the Hôtel Fouquet’s Barrière in Paris, as it was my father-in-law’s dream to have a Barrière palace on the most famous avenue in the world. How important a role do you think location plays in your hotels’ success? Location is crucial! Our resorts are located in the most beautiful sites and in the best spots in towns, to such an extent that generally, our hotels have become icons of their regions or towns. You associate the Majestic with La Croisette! 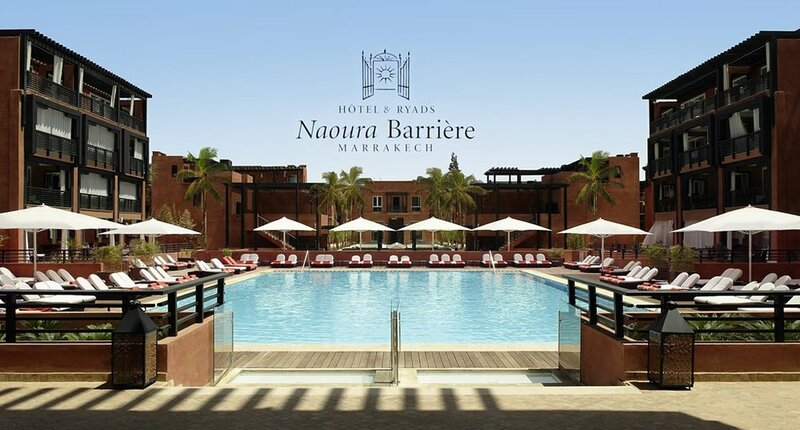 The Normandy conjures up the Deauville famous boardwalks, our Moroccan resort evokes the Place Jemaa el-Fna and the Hôtel Fouquet’s Barrière immediately makes you think of the Champs Elysées! So yes, location is definitely one of our hotels’ major assets. What qualities make a 5-star hotelier? At our hotels the Barrière spirit and service illustrate our family values; guests have always enjoyed an extra level of hospitality with us. One of the main things our staff ensure is spontaneous, sincere kindness towards guests. A good 5-star hotel manager should literally be an excellent host who enjoys welcoming guests and pays attention to details…. A good manager should also know how to be sympathetic and personalise relations with guests. He or she conducts a grand orchestra devoted to every guest. Describe the ideal customer experience at a Barrière hotel? Only a guest can describe the ideal guest experience; you have the family experience for those who come to use the children’s clubs & facilities; you have the romantic experience for couples who want to enjoy peaceful settings and rooms, you have the gourmet’s experience for those who want to try every dish and the casino experience for those who want to try their luck. What they have in common is their loyalty, which is absolutely incredible. They always come back because we provide a tailored and efficient service with a smile. I am our hotels’ most loyal guest and the most demanding one too! But if I had to choose one above all, it would be the Hôtel & Ryads Naoura Barrière in Marrakesh for the gentle way of life, the enchanting settings and all the amazing food. Of course I stay at other hotels, but I find it hard to switch off from my job; I note everything, all the strong and weak points and I debrief everyone when I get back! Who would be your role model, business and personal? That would be my wife who displayed extraordinary courage right up to the end. She was a strong-willed and creative woman, she knew exactly what she wanted and she was a born leader. I also like to re-read Hemingway’s For Whom the Bell Tolls, James Ellroy’s books and Gabriel Garcia Marquez’s romance Love in the time of Cholera. What’s next for Hôtels Barrière and yourself? After the renovation work in Deauville, La Baule and Cannes, our next major project will be in Courchevel and should see the day by late 2016 or early 2017. It will be our first hotel in the mountains, in one of the most iconic ski resorts and will it add to our presence in luxury tourist resorts. Meanwhile we also hope to continue growing abroad and regularly review potential acquisitions in the Middle East and the main European capitals, but there is no rush, above all we wish to forge alliances with like-minded companies who share our values and leading locations. As for myself, I would like to stay close to my children Joy and Alexandre and be there for them while they learn the ropes with Barrière and life in general. Our company’s history is rooted in passing on our know-how, I know they are preparing seriously for their future roles and I am very proud that my son has just joined the company.